HELSINKI, FINLAND--(Marketwired - November 27, 2017) - A long-awaited extension of the Helsinki metropolitan subway system, the Metro, opened to passenger service on December 18, 2017. The extension comprises eight stations, each distinguished by original design by Finnish architects. The extension takes the Metro to the west, from Helsinki to the neighboring city of Espoo. The stations are from east to west: Lauttasaari, Koivusaari, Keilaniemi, Aalto University, Tapiola, Urheilupuisto, Niittykumpu and Matinkylä. All stations are underground and reflect the character of the neighborhood. The Lauttasaari Metro station is marked by an artwork consisting of lights hanging from the ceiling. Lauttasaari and its sister station Koivusaari, both by Helin & Co Architects, are inspired by nature -- by snow and ice in Lauttasaari, and by water and the sea in Koivusaari. The asymmetrical walls and ceiling of the Koivusaari station, which is under the sea, evoke an upturned boat and whales. 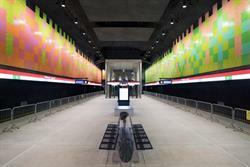 The Keilaniemi station serves a business district housing high-tech enterprises, and the station is shiny and smooth, with art suggesting digital technology. The next station, which serves the main Aalto University campus, contrasts with Keilaniemi by its matte and rough surfaces. 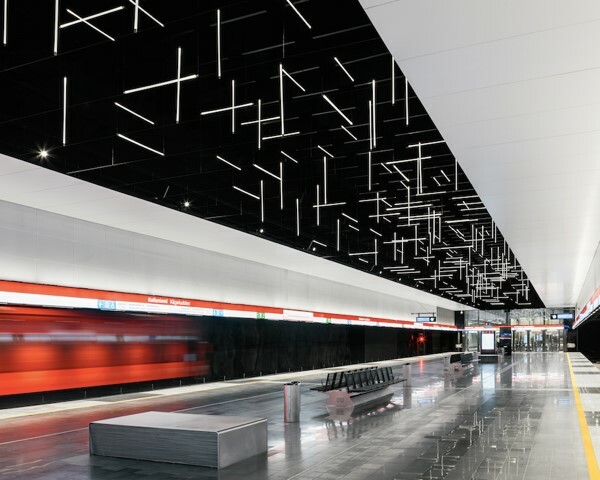 The Aalto University station has a sculptural Corten-steel ceiling, which associates the station with the nearby red-brick campus buildings including the main building by Alvar Aalto. Both stations are by ALA Architects. 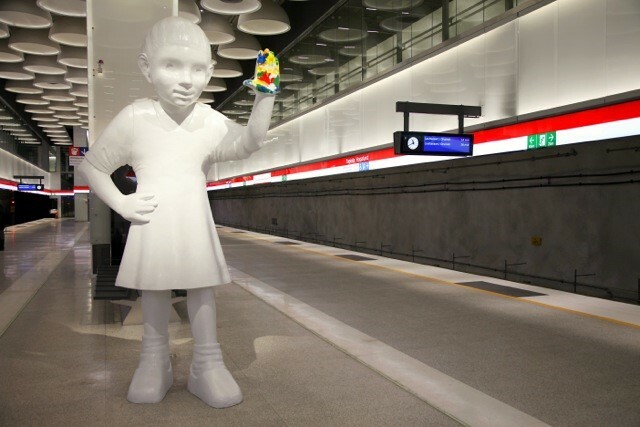 The Tapiola Metro station by Artto Palo Rossi Tikka Architects is distinguished by white, which is the dominating color of the Tapiola district, as well as by a three-meter-tall sculpture by Kim Simonsson. The Matinkylä, Urheilupuisto and Niittykumpu stations are by HKP Architects. 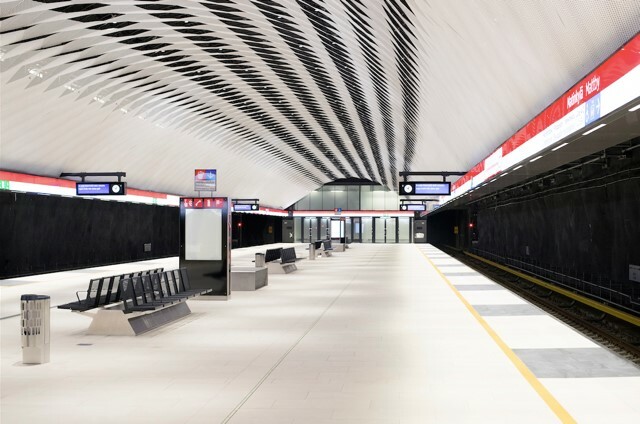 The Matinkylä station is defined by an arching white aluminum web covering the ceiling, the Niittykumpu station by colorful art, and the Urheilupuisto station by heavy pillars due to structural reasons. 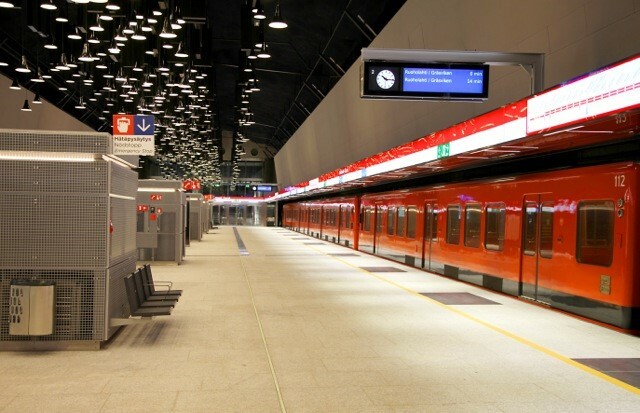 The total number of stations in the Helsinki metropolitan Metro system is now 25. 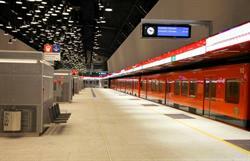 The system runs on one 35-kilometer (22-mile) east-to-west line through Helsinki and halfway through southern Espoo. The first section of the system opened in 1982. The planning and construction of a further extension of the Metro is underway in Espoo. 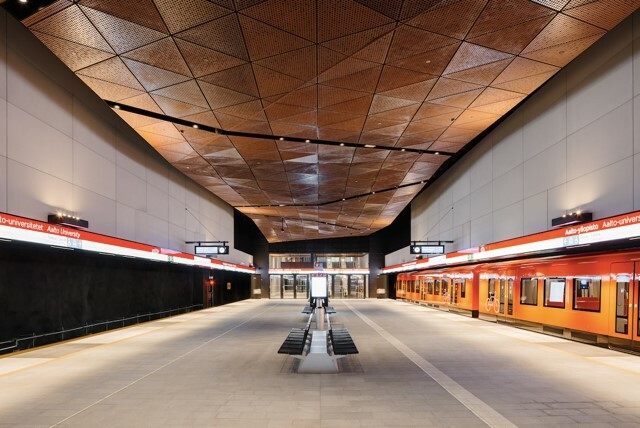 The Metro now connects important hubs in the Helsinki metropolitan area, where growth will largely take place on the public transit rail system. Apart from the Metro, the system consists of a commuter train network and a dense network of streetcars in the Helsinki inner city. Rapid transit light rail is under development. There was no official grand launch of the new service on November 18, 2017, when the first Metro trains departed at 5 a.m., but the launch was celebrated with spontaneous parties organized by citizens on their own.